Custom Ore Generation Revival Mod allows the player to decide what ores are generated in their worlds and how they are distributed. 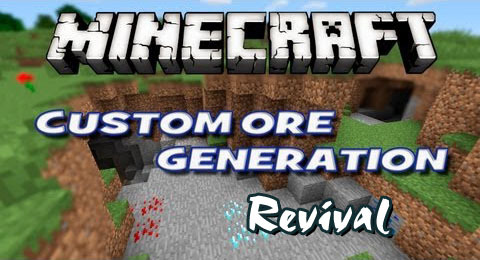 This mod is the revival of the venerable Custom Ore Generation, last released for Minecraft 1.4.7. All original features are documented on the original wiki.